Black Phomthong Black Hair Cream 80g. SKU: BLACK002. Tags: black hair cream 80g, black hair herbal cream, black phomthong, black phomthong hair cream, ブラックポムトン. BLACK PHOM THONG Black Hair Cream 80g. To cover grey/white hair to be black long lasting. The cream contain natural essence preventing hair from dandruff and hair falling. This product made in Thailand with 100% herbal ingredients – chemical free, no preservatives and no negative effect to your scalp. 1. Wash your hair as regular. 2. Keep hair and scalp dry, apply the cream by gradually massage over the area you would like to cover the grey/white hair. For the best result, massage until the cream absorbed thru the scalp. 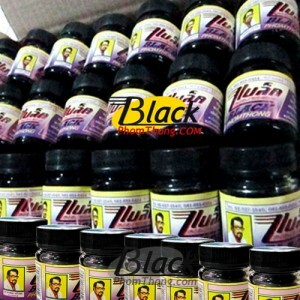 2 PCS: Black Phomthong Black Hair Cream 80g. VALUE SET 6 PCS: Black Phomthong Facial Hair Growth Cream 20g. VALUE SET 50 PCS: Black Phomthong Facial Hair Growth Cream 20g.